Handmade Detroit | Time for Renegade! 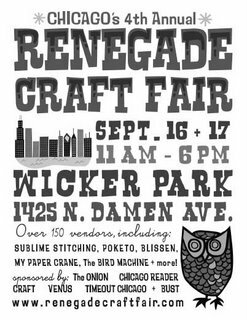 Good luck to all of our Mitten makers heading out to Chicago this weekend for the annual Renegade Craft Fair! If you feel like an impromptu road trip, make sure to check out Wicker Park and represent the Mitten.